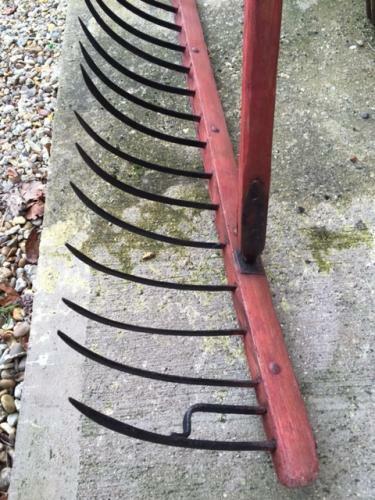 Antique Norfolk Drag Rake with iron tines. These large rakes were dragged by hand in the fields to glean the corn. Would look fantastic in the roof pitch of a barn conversion or farm shop etc as real statement piece. The rake head unscrews to help transportation.